Only the purest medium fine ground artists' pigments in the highest possible concentration. *SPECIAL SALE PRICES are available online only. SKU: N/A. Categories: Pastels, Sale, Schmincke, Schmincke Soft Pastel. Working with Schmincke’s finest extrasoft pastels leads you back to the origin of colour and is a real painting experience rather than simple drawing. They contain only the purest medium fine ground artists’ pigments, which are in the highest possible concentration. Contrastingly, the binding agent content, is kept to a minimum, which ensures a stable compound. In order to guarantee the highest quality it is necessary to manufacture Schmincke pastels using special recipes which avoid the use of machinery during manufacture. ‘Worm extruders’ form the pre-kneaded dough into round skeins, which are then detached by hand and cut in a wirestrung frame. The damp sticks have to dry for around eight days before they can be labelled and packed by hand. 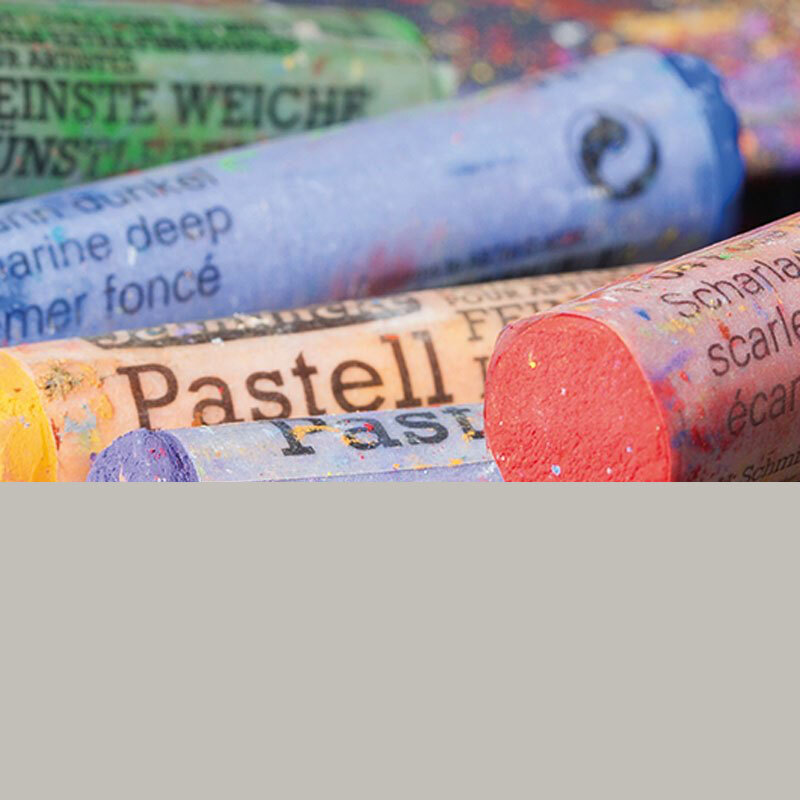 This is a costly and time consuming process, however it is the only way Schmincke can guarantee homogenous quality and smoothness in all the production cycles, in order that the artist can be assured that his favourite colour shade is consistant throughout our range of finest extra-soft artists’ pastel colours. The complete assortment includes 400 colours classified in 80 rows with 5 colours each. The range contains also 5 additional pearl lustre effect colours. Pastel paintings will always remain sensitive. Therefore, they should only be treated with a special fixative – like Schmincke fixative for pastels (No. 50 402) – to be used sparingly.